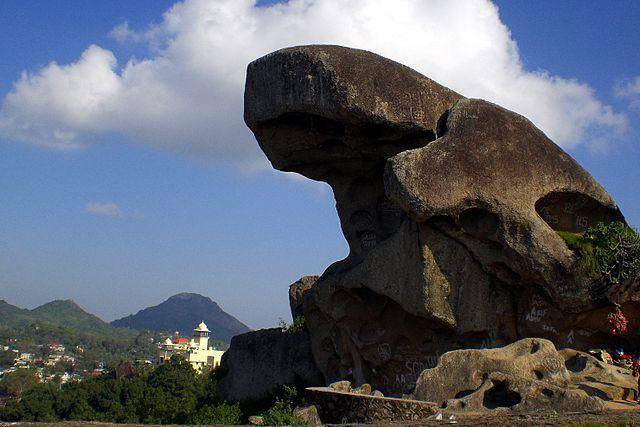 Toad Rock, Mount Abu is Perched over a hill, directly overlooking the lake Nakki. Apart from being an exciting climb for the mountaineers, it is an appetizing site for those who seek to picnic with a difference. Toad Rock is a huge rock formation, resembling a toad and thus the name. Located in Aravalli range, it is known for pleasant atmosphere and offers beautiful views of the lake and hills. Toad rock along with Nandi rock, Camel rock and Nun rock are suitable for trekking and rock climbing.